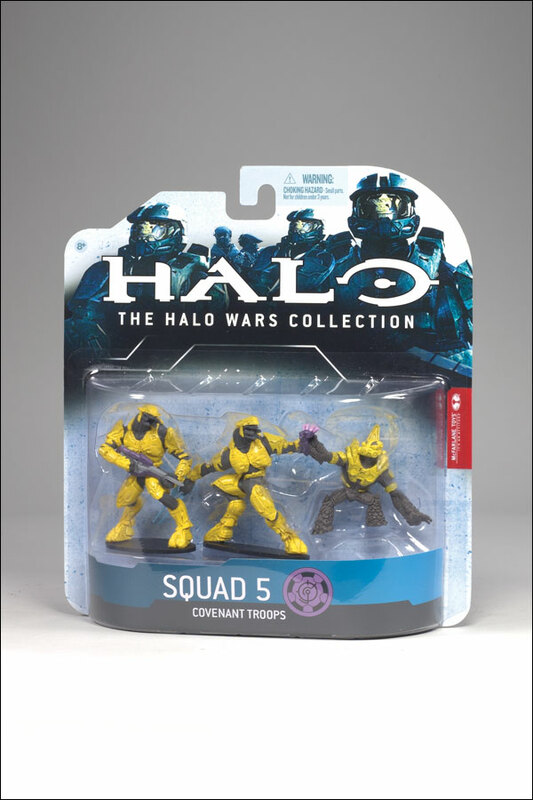 Halo Wars Action Figures, Small Guys with a Big Attitude! 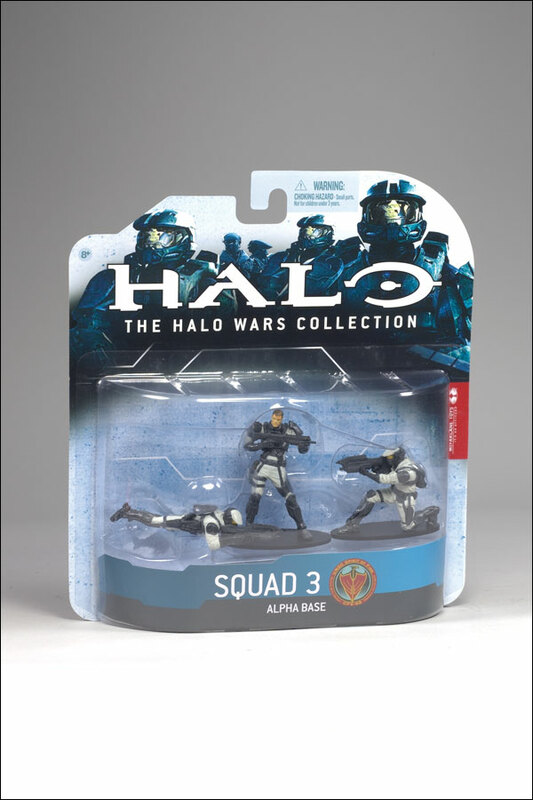 Halo Wars Action Figures, Toys with Attitude! 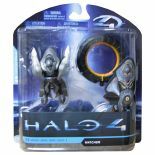 Halo Wars action figures are probably the smallest that McFarlane's have ever produced but don't let that put you off because they may be small but the still have the excellent quality and standard that we have come to expect from McFarlanes. 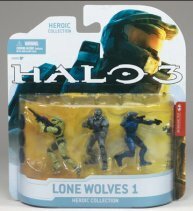 The Halo Wars action figures were first released in January 2009 and are the only Halo figures to have been released in a 2.5 inch scale, although since then there have been the Halo Micro Ops figures which are even smaller! 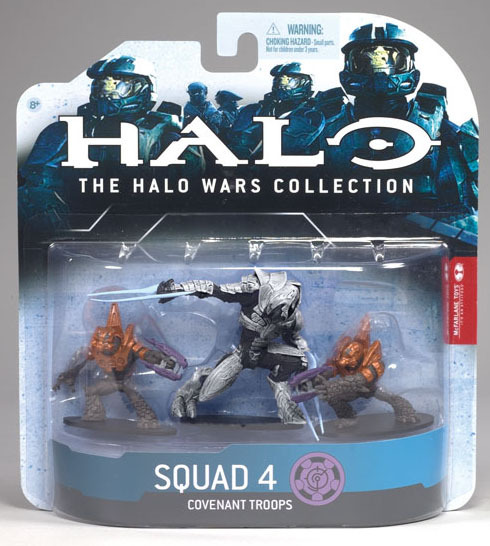 This figures were sold in team boxes rather than individually making them ideal for gameplay and more affordable to build an armies of the different teams to battle each other. 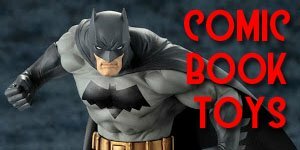 With these figures, and the smaller Micro Ops figures, it seems that McFarlane has finally accepted the fact that most people buy action figures to PLAY with and not to keep in their box and stuffed away at the back of some cupboard for prosperity! And these figures are GREAT to play with, in fact they remind me of the days playibg with my 15mm Airfix WWII figures as a kid in my bedroom! 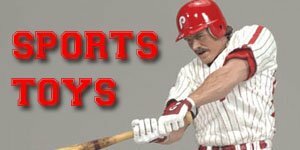 Figure stands 2 inches at top of helmet. Articulated at waist. 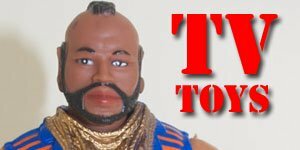 Figure stands 2 3/8 inches tall at top of helmet. Articulated at waist and left ankle. 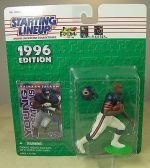 Figure stands 2 3/8 inches tall at top of helmet. Articulated at waist and right ankle. Figure stands 2 1/2 inches at top of helmet. Articulated at waist and left ankle. Figure measures 2 2/3 inches at top of helmet. Articulated at waist and ankles. Figure measures 2 1/2 inches at top of helmet. Articulated at waist and left ankle. Figure stands 2 3/8 inches at top of helmet. Articulated at waist and left ankle. Figure measures 2 inches tall at top of helmet. Articulated at waist. 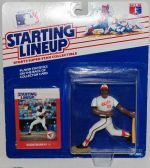 Unfortunately though only two series of these figures were produced. 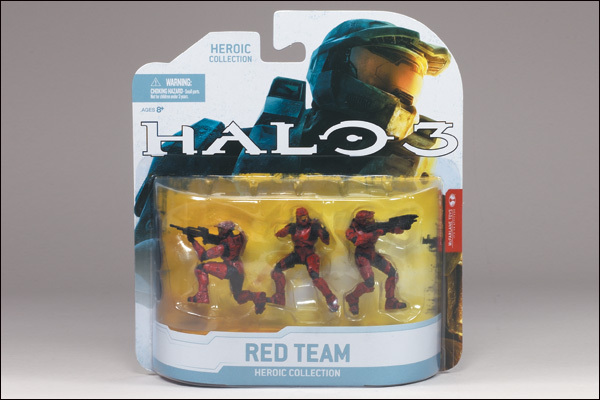 Released in 2009 the Halo Wars game, like the figures, also departed from its traditional format. 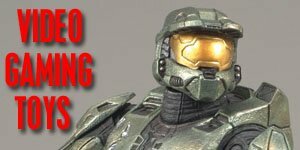 Halo: Combat Evolved, Halo 2 and Halo 3 are all First Person Shooter games, Halo Wars was a Real Time Strategy game. Set in the year 2531, 21 years BEFORE the events in Halo: Combat Evolve the game acts as a prequel to the later trilogy. 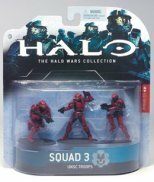 The games story arc is based around the UNSC's early battles on Harvest and Arcadia. The Flood also plays a significant role in the storyline. 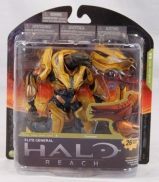 The game was designed and produced by Ensemble Studios, however they were closed by Microsoft before the games released and a company called Robot Entertainment, a company set up by a group of ex-Ensemble employees, took over the role of the games support and updates etc. The game released over a million units in its first month making it, at that time, the best selling RTS game.